The Mafia's Induction ceremony was a well-kept secret for many decades. 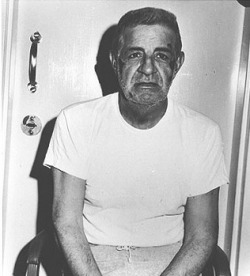 But the secret was discovered by the general public after some Mafia defectors like Joseph Valachiand Tommaso Buscetta leaked the information out to the police, FBI and the media. This ceremony was carried out by the Sicilian Mafia and also most American Mafia families. Depending on the circumsatances, the ceremony may be altered. As an example, during a gang war, the ceremony will be done very swiftly without all the ritual. The ceremony begins with the potential Mafia inductee being asked to get dressed. After he is ready, he is taken to some private home and seated at a a table right next to the Don. All the other Mafia members present will join hands and chant oaths of respect, loyalty and honour. The inductee has to then hold a burning piece of paper. He has to withstand the pain and heat and pass the paper from hand to hand until it is completely consumed. While doing so, he must also swear to keep faith and uphold the principles of the Mafia. After this, he has to promise to be a member of the Mafia family for life and a drop of blood is withdrawn from his trigger finger. Ins ome Families, the inductee is paired with another Mafia member of higher experience and rank who acts as his "Godfather" and helps and guides him into the life as a Mafioso. However it takes more than an oath, ceremony and drop of blood to get into the Mafia. The prospective member must be of Italian heritage to join some of the conservative Mafia families. Some require both parents to be Italian while some require only the father. The prospective Mafia member must show an uncanny skill for making money. At the least, he should have an inclination to commit violent acts when ordered to. Generally the inductee must pass some kind of a test before being invited to join the Mafia.In order to be Made Men, the inductees have to "make their bones". In order to do so, they have to commit an act of murder of the Don's enemies. There is another obstacle as well. They have to be considered by The Commission. In the 1920s and 1930s, the Mafia families were always involved in some kind of a gang war with each other. 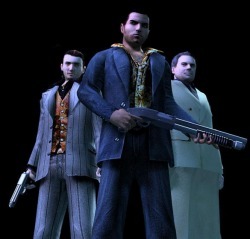 Mafia Families would often recruit new members in large numbers. As they could not be recognized by the other Families, they easily approached the rival Mafia capos and made-men and assassinated them. To put a stop to this, it was required of the Mafia Families to give a list of prospective inductees to the Commission. This list was circulated among the other Mafia Families. This eliminated the risk of not being recognized and also gave the opportunity of removing any inductee which some other Family had a problem with. If such an inductee were to become a Made Man, individual disagreement between him and the other Family's Don or any other member could easily spark of violent and bloody Mafia Family wars. This resulted in a huge loss of revenue and members for all the concerned Mafia Families.